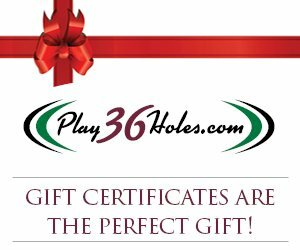 Why settle for 18 holes? 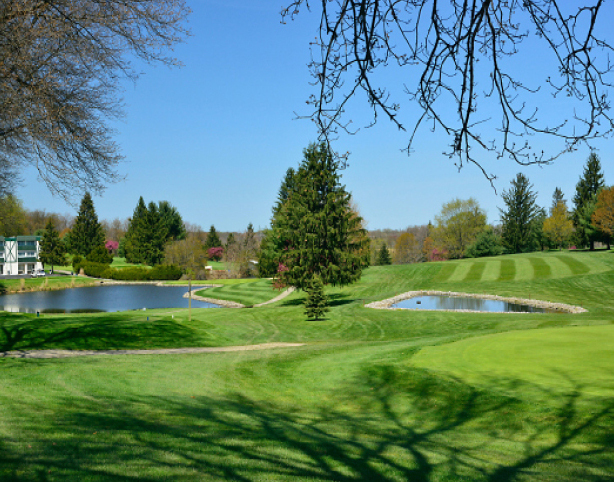 Now you have the opportunity to play 36 holes at two neighboring golf courses – Conley Resort & Golf Club and Suncrest Golf & Grille in Butler County Pennsylvania. 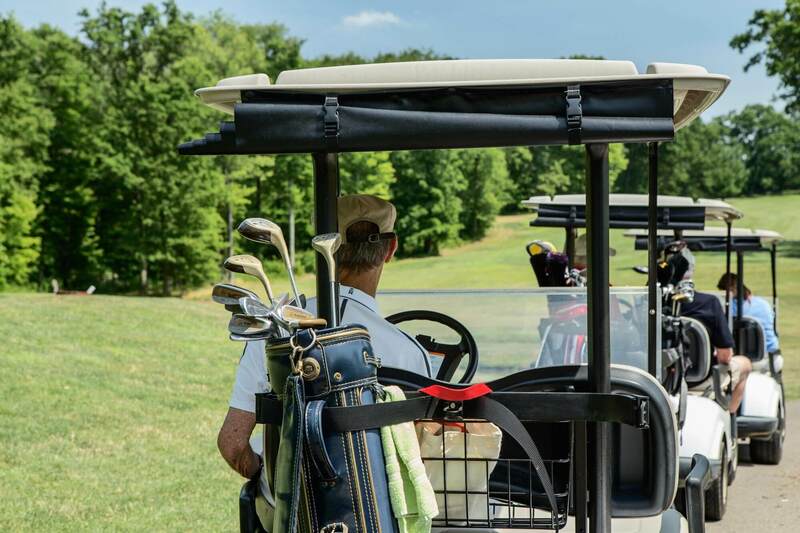 You can't beat the convenience of the endless amenities the two beautiful courses offer – there is something for everyone, so bring the family for the day, a weekend or vacation. 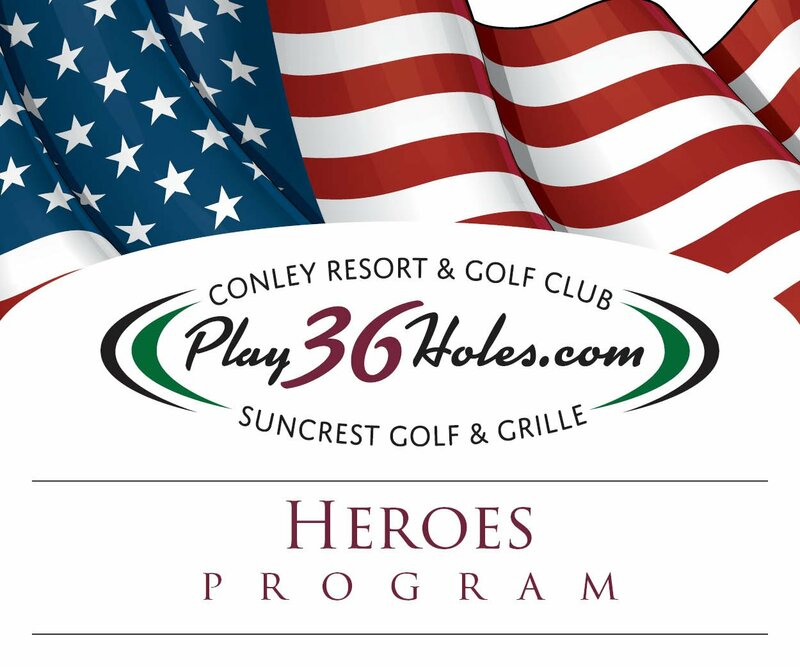 The pristine, challenging courses at Conley Resort & Golf Club and Suncrest Golf & Grille are ideal for your next charitable, corporate or recreational golf outing. With 36 holes available between the two neighboring facilities, charity groups benefit from a more profitable outing, and tournament hosts have the opportunity to expand their guest lists. No longer do you have to limit your guest list to fit on a single 18-hole golf course. Our bright, comfortable banquet facilities are a wonderful place to unwind with friends, colleagues and sponsors, while enjoying food and beverages from our updated catering and bar menus. Both courses also welcome leagues! Tee times are required on Fridays, Saturdays, Sundays and holidays. Every Tuesday at Knickers Tavern - half-rack ribs with side for $12. Every Tuesday at Knickers Tavern – half-rack ribs with side for $12. 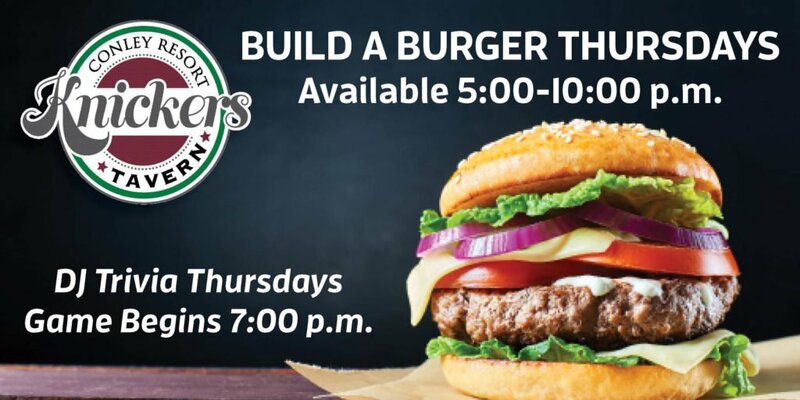 Every Thursday at Knickers Tavern - build your own burger special. Every Thursday at Knickers Tavern – build your own burger special. Great menu items available all day every Friday at Knickers Tavern. Every Saturday at Knickers Tavern - special on prime rib cuts. Every Saturday at Knickers Tavern – special on prime rib cuts. Every Sunday in Knickers Tavern – kids under 10 eat for $.99 – all day, from Knickers menu only. 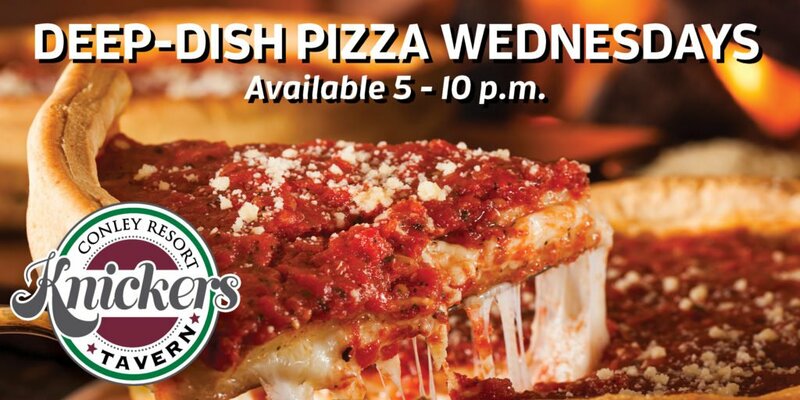 Pasta Night – choose your own pasta, sauce and add-ins – available 5-10 pm. A gift for them and you! Receive a $10 gift card for every $50 gift card purchase. Visit ConleyResort.com or SuncrestGolf.com to purchase. 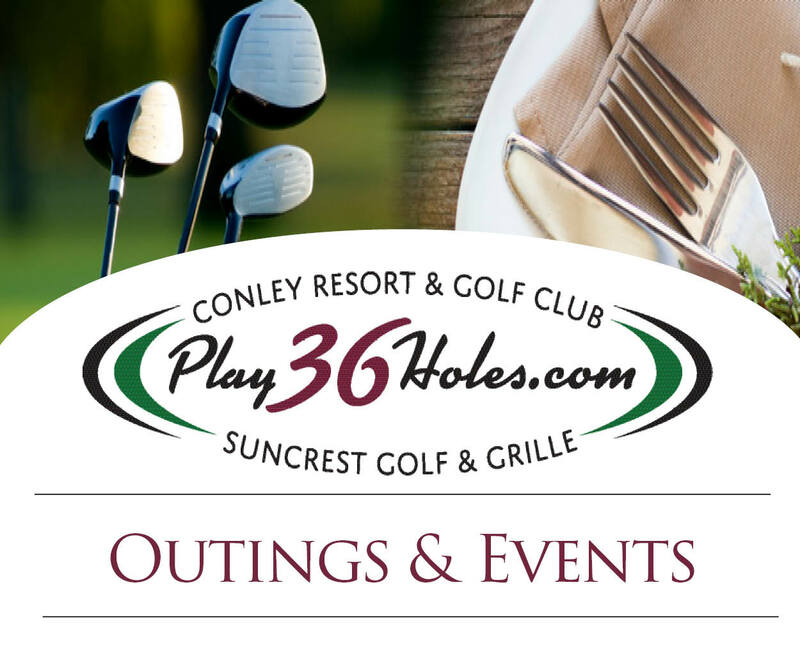 Play36Holes, Conley Resort & Golf Club and Suncrest Golf & Grille are part of the St. Barnabas Hospitality Group.